Aerial adventure parks that have built core attractions like zip lines and ropes courses are adding a variety of complementary activities that keep guests on property longer and generate revenue that goes beyond admission fees. And in most cases, these require a relatively small capital investment. From Segway and ResortBoard tours to mazes, canopy walks, and the thrill of jumping off a tower into a giant airbag, these added attractions have many benefits. They can add a new look to the park, as well as provide more options for families, says Paul Cummings, chief client advocate at Strategic Adventures, which provides business development consulting for adventure park operators. “Parks are at the point now where they are looking for high-throughput activities, where guests don’t have to stop and get harnessed up,” says Cummings. That’s a model that ski areas, for example, are accustomed to during the winter with their practiced liftline routines, and have been slowly implementing into their summer operations. On the ground or in the trees, these alternative activities are worth considering when it comes time to refresh your park. ResortBoards have all-terrain tires, a range of 18 miles on one charge, and can travel on a variety of surfaces. “Resorts are always looking for something new and fresh to do at very low cost,” says Rick Sharp, president of Vermont’s Burlington Segways, which leases, sells, and services Segway personal transporters. Segway tours have become a popular supplemental activity to adventure parks, especially at ski areas where there’s room to roam. In New England, for example, Killington, Gunstock, Okemo, and Smugglers’ Notch ski areas all offer these two-wheeled tours. Segways are a more familiar sight on city streets than wooded trails, but the X2 model has a wide base, ATV-style knobby tires, and a 12-mile range that makes it well suited for operating in rugged terrain. Sharp says that X2s sell for about $6,500 apiece, require little maintenance, and retain their resale value over time. Adventure park Segway tours typically consist of about a half hour of rider instruction followed by a 1.5-hour tour. “Most start on flat ground and then head to steeper terrain,” says Sharp. 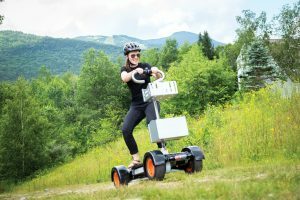 “At Killington, they go up and down some steep ski slopes.” One Segway advantage: The quiet operation of the battery-powered Segway makes wildlife encounters far more likely than, say, on an ATV tour. Operations that invest in a fleet of Segways and charge $50 or $60 per person can expect to generate revenues of $20,000 to $100,000 per season, Sharp says. Newer to the market is the ResortBoard—a four-wheeled personal transporter with a snowboard-sized rider platform, a top speed of 14 mph (Segways top out around 12 mph), and a range of 18 miles on-road/15 miles off-road. The ResortBoard is a more rugged version of the GolfBoard, which is a golf-cart alternative in use at more than 250 golf courses worldwide. Similar to Segways, it’s good to have some property to tour if you want to add ResortBoards to your activity lineup. 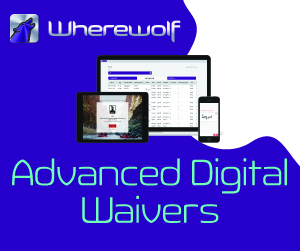 That’s why many early ResortBoard adopters are also ski areas, including Canaan Valley, W.Va., and Waterville Valley, N.H., among many others. The Waterville Adventure Center offers 1.5-hour off-road ResortBoard tours for $48 per person, for example. Like the Segway X2, the ResortBoard has all-terrain tires and “can be used on pavement, gravel, loose dirt, mud, and even packed powder,” according to the manufacturer. Suggested retail price is $7,950. The company offers buy and lease options. Guests can watch their kids from above the Amaze’n Mazes installation at Mt. 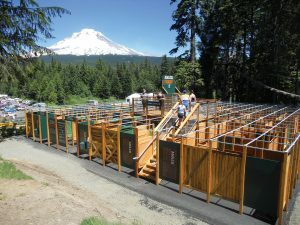 Hood Adventure Park at Skibowl, Ore.
A maze is an alternative activity that all guests of any age or ability can participate in. And it’s also user-friendly from operator’s perspective. A maze requires only a single employee to supervise, and has virtually unlimited customer capacity. Amaze’n Mazes, now owned by Ropes Courses Inc., was founded by former Winter Park Resort (Colo.) food and beverage manager Greg Gallivan more than three decades ago. Since then, he has built dozens of mazes at adventure parks and resorts around the world, including Killington, Loon Mountain, N.H., and Winter Park, Vail, and Breckenridge, Colo. The scope of the projects vary, but a typical maze covers about 5,000 square feet, costs approximately $100,000 to build, and takes under a half hour for guests to traverse. Mazes are durably constructed of wood (the maze at Steamboat Resort is now in its 21st season of operation), can be set up indoors or outdoors, and may be left up year-round (which Gallivan recommends) or assembled and disassembled each season. “You can put it up in a week, and take it down in a day,” he adds. With the ability to operate in any kind of weather, minimal staffing required, and only the seasonal setup and breakdown process if the operator so chooses, a professionally-built maze can quickly recoup its initial investment. Built-in game features, like checkpoints and time clocks, keep guests engaged. The maze at Snow King Resort, Wyo., even has an educational component, with eight checkpoints containing information on local wildlife. Anakeesta’s Tree Canopy Walk, with 16 connected sky bridges, is an inclusive activity and is a catalyst for attracting families. Canopy walks—elevated walking platforms with high fences for safety, also known as treetop walks or treks—require trees and some advanced engineering to build, but are certainly something to consider if your property is suitable. 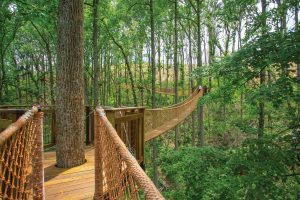 Standalone canopy walks have been built at zoos and in nature reserves around the world, including the Kew Botanical Gardens in England, the Holden Arboretum in Ohio, and the Kendada Canopy Walk at the Atlanta Botanical Gardens. This inclusive activity is well suited for aerial adventure parks in wooded settings. CLIMB Works owner Nick Thompson built the Tree Canopy Walk at the recently opened Anakeesta in Gatlinburg, Tenn. The installation has 16 connected sky bridges and takes guests up to 60 feet above the ground. Thompson says one of the best things about a canopy walk is that it appeals to many different people—young and old, thrill-seekers, and even the timid, which is an important quality in family-centric Gatlinburg. Thompson says constructing a canopy walk is similar to constructing a tree-based zip tour, “but you typically have to beef up the engineering, since your goal is to make the walk completely non-belayed. The one nice part is it tends to be less expansive than a zip tour.” And it can be completed in stages depending on budget, he adds. Opposite: BigAirBags can be a versatile, year-round addition to any park, indoors or out. Similar to a free fall activity, a BigAirBag can be integrated into other attractions or used to create a distinct experience. 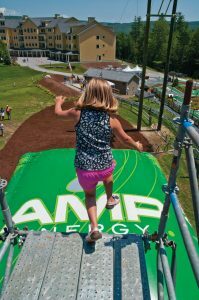 Adventure parks have used these giant inflatables to provide a soft landing for ski jumpers and BMX stunt riders, as part of obstacle courses, and at the foot of rock-climbing walls. Airbags also provide a soft landing for other adventure options, such as free-fall platforms and Tubby Jumps—where guests go airborne on inner tubes before a cushioned landing. Camelback Mountain Adventures in Tannersville, Pa., offers a pair of freefall towers of 15 and 30 feet, and charges $5 per person for two jumps. Airbags can operate year-round, too. At ski areas, an airbag that spends the summer as part of an adventure park often does double duty in winter for freestyle skiers practicing their moves, adds Gram. “BigAirBag can play in all spaces—indoor or outdoor, temporary or permanent,” he says. Prices range from about $20,000 to $40,000. Most of these attractions are family friendly: children of any age can do a maze or canopy walk with their parents, for example. Camelback sets age 8 as the minimum for its free-fall jump, and Segway tours generally are open to children ages 12 or older. Excluding just one member of a family could lead to losing the entire family’s business. Some of these complementary activities can be easily modified or even rotated from one park to another, keeping things fresh and encouraging repeat visits. For example, the maze at Steamboat is modified every two weeks by moving around walls and checkpoints, and Segway or ResortBoard tour routes also can be altered with minimal effort. “Amusement parks swap out rides all the time, and I think we’ll see that more with adventure parks,” says Cummings. Whether parks bundle activities on one ticket or sell a la carte tickets for each activity, adding secondary activities can directly boost revenues. “The key for operators is to track and measure how much each attraction gets used, and if something is not performing to switch it up in order to get a better return per square foot,” Cummings says. More attractions can also mean more time spent at the park, which is key for generating ancillary revenue from concession sales and even lodging. A zip line tour or aerial park may take two or three hours to complete, while a mountain coaster ride can take about half an hour (with the wait in line included). Add to that a maze (half hour), Segway tour (two hours), or other alternative attractions, and an adventure park can easily become a half- or full-day destination. “If visitors are bored after two hours, they’re not going to stay for a meal. But if you can keep them for four hours, your concession sales will go up,” says Cummings. And that’s the end goal. The longer you can keep guests happy, the longer they will stay, and the more they will spend in your park.